As a member of the Chamber, you have unique opportunities to attract new customers and promote your business – at no additional cost to you! And you can stretch your advertising dollars with numerous cost-efficient discounted advertising vehicles available to Chamber members only. Take a look at all we have to offer and join today ! Your business will be listed in our online directory with a link to your website if desired. Thousands of potential customers visit our website every month and use the search function to find businesses they’re interested in. Opportunities to enhance your listing to include special offers are available. 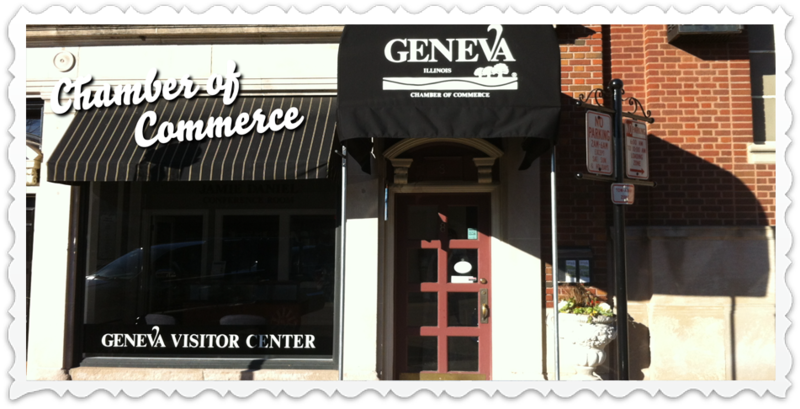 You’ll be included in this valuable resource, mailed to all Geneva households and businesses as well as Chamber members outside of Geneva. Opportunities to advertise in the directory are available. Click here for Ad Specifications and costs. Each year, the Chamber receives thousands of inquiries from visitors and residents for referrals. We constantly promote our members’ businesses. Keep other Chamber members aware of new products and services, promotions, new locations or staff promotions through our monthly newsletter Soundings. Click here for details and current and archived editions. Keep us supplied with your most recent brochure or business card and we’ll display them in our Brochure and Business Card Racks – for members only! Target your business-to-business advertising with the Chamber’s exclusive member list. This weekly updated list is available to members at no cost. A list of Chamber members offering marketing services is provided to Marketing Ad-Vantage Co-Op participants. Advertisers, graphic designers, public relations and website design staff along with newspaper/print, cable and radio advertising reps are included. Call the Chamber at 630.232.6060 to become a member and begin taking advantage of all that Marketing Ad-Vantage has to offer. Email blasts are individually designed and reach over 900 email addresses. Blasts are limited to be more effective. For more information or to schedule an email blast, contact the Chamber at 630.232.6060. The cost for this service is $100/blast. Marketing Ad-Vantage Co-op members receive a 10% discount on this service. The Chamber distributes 50,000 of this comprehensive guide at tourism kiosks throughout Illinois as well as in response to more than 10,000 requests from readers of Illinois Getaway Guide and other regional travel magazines. As a Chamber member you have the opportunity to enhance your listing and promote your business in this well-read guide. The cost is just $290 for this valuable advertising tool. We receive thousands of visitors to our website each month. Attract their attention with a banner ad on our website. You can promote new merchandise, events, Special Offers or even job opportunities. Click here for the online version of Town Square Publications – Geneva. The 4th Tuesday of the month (excluding June, August, November, December) members get together to exchange business cards, make contacts, enjoy beverages and hors d'oeuvres and help promote business in Geneva. Click here for details and the current schedule. The third Tuesday of the month, business owners and associates gather for lunch, networking and educational and inspiring programs and events. All Chamber members are considered members of this popular committee. Click here for details. A representative from each business category gets together twice a month to network and exchange business leads. It is an excellent vehicle for the promotion and marketing of committee members’ individual businesses. The group meets bi-monthly. An Industrial Guide complete with area businesses and major employers is available for members - free of charge! RPN Geneva meets four times per year to offer networking, mentorship opportunities, roundtable discussions and mixer events to the Rising Professionals of the Geneva area.